Young handsome male friends having an active discussion in the sport bar while drinking beer and eating chips. Informal communication, men’s club. Active weekend. 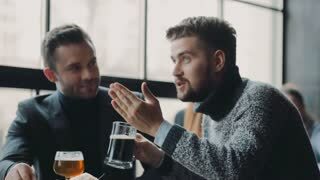 Young handsome male friends having an active discussion in the sport bar while drinking beer and eating chips. Informal communication, men’s gathering. Active weekend. 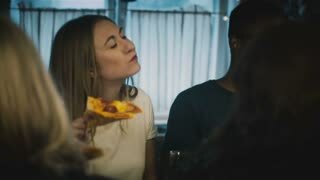 Young beautiful Caucasian girl eating pizza with friends at a kitchen bar table at a casual fun house party with drinks. 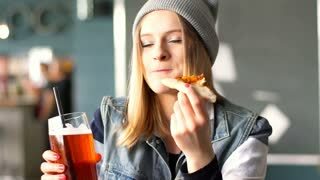 Two male friends enjoying drinking beer at the local pub. 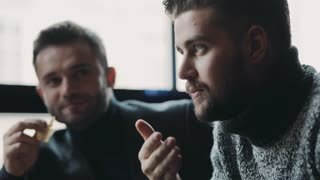 Young handsome man and his mature friend laughing and talking over glass of beer, resting at the bar. Communication, lifestyle concept.